Michael Schmidt/Sun-Times Media Campaign finance rules are broad enough that Mayor Rahm Emanuel is allowed to receive contributions from firms with business ties to the city. 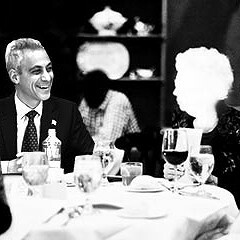 July 10 was another productive day for Mayor Rahm Emanuel's fund-raising machine. Chicago Forward, the political action committee put together by some of the mayor's friends and run by his former aides, reported collecting $325,000 in contributions that day from just six people. The flurry followed the PAC's $1 million haul in the last week of June from eight funders. On both rounds, the PAC's contributors included executives from Grosvenor Capital Management, an investment firm for institutions such as public pension funds. Grosvenor CEO Michael Sacks gave the PAC $150,000, two other Grosvenor executives gave a total of $75,000, and one of their spouses contributed an additional $25,000. 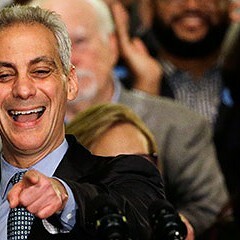 The Chicago Forward contributions are not to be confused with the $22 million that the mayor's own campaign committee—Chicago for Rahm Emanuel—has raised since 2010. At least $665,000 of that money has come from Sacks, other Grosvenor employees, and their family members, according to state records. The volume of money may seem astonishing to most Chicago voters, but all of it appears to fall within the rules set out by law. As Chicagoans are starting to realize, regulations governing campaign contributions are limited. And when it comes to running for the city's highest office, the rules have largely been set and enforced by the mayor himself. Ironically, Emanuel ran as a crusader for more stringent campaign rules. In fact, on the day of his inauguration in 2011 he issued a series of executive orders that would seem to ban some of the donations he's been receiving. 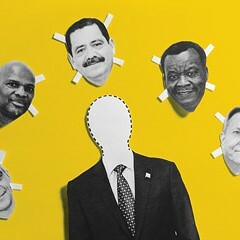 One order prohibited political contributions to the mayor from the executives of companies that "do business with" the city. A second banned city lobbyists from making political contributions to the mayor. "Chicagoans want to see change in the way their city government does business," Mayor Emanuel said. "My first official act as mayor sends a clear message that all operations of city government must be guided by a spirit of public service." It made for great press—but little more. An executive order is not binding. It's basically a pledge to do the right thing. There's no punishment if it doesn't happen. "You could write an executive order on a napkin," says Alderman Scott Waguespack (32nd Ward). "There's no oversight or enforcement." In addition, the mayor is loose in his interpretation of what it means to "do business with" the city. The donations from Sacks and his company offer a good example. In addition to being the CEO of Grosvenor, Sacks serves as the vice chairman of World Business Chicago, the city's taxpayer-funded economic development agency. He's also reportedly one of the mayor's closest advisers on economic issues, including pensions, and last year helped negotiate slightly revised terms for the parking meter privatization deal. Grosvenor doesn't have business relationships with the city, but it does have ties to firms that do. For example, while Sacks was working on the new agreement with Chicago Parking Meters LLC, Grosvenor was working on a deal to buy an investment service from Credit Suisse, a bank that previously helped the parking meter company sell $600 million worth of bonds. Separately, the city hired Credit Suisse to advise it on the privatization of Midway airport, which Emanuel eventually scotched. A spokesman for Sacks wrote in an e-mail that because Grosvenor doesn't get paid work from the city, his multiple roles create no conflict of interest: "Mr. Sacks is a longtime friend of the mayor and believes the mayor has the courage to make the hard choices that most politicians are unwilling to make." For his part, the mayor draws a distinction between doing business with the city and doing business for the city. "World Business Chicago is not covered by the executive order," says Pete Giangreco, an Emanuel campaign spokesman. On the day of his inauguration in 2011, Mayor Emanuel issued a series of executive orders that would seem to ban some of the donations he's been receiving. In addition to Sacks, 32 of the other 65 WBC board members have contributed to Emanuel's campaign fund. Along with their spouses, they've come up with more than $800,000 for Emanuel's campaign fund since 2010. Some of their companies also have direct business relationships with the city. WBC board member Matthew Gibson, a managing director for the high-powered investment bank Goldman Sachs, donated $5,000 to the Emanuel campaign last year. Since November 2013, Goldman has received more than $4.2 million from the city in debt service payments. A spokesman for Goldman Sachs says its employees aren't allowed to make political donations until they're reviewed by the firm's lawyers to ensure they're legal. Another WBC board member who donated to the mayor was James S. Crown, the president of Henry Crown & Company, a private investment firm. 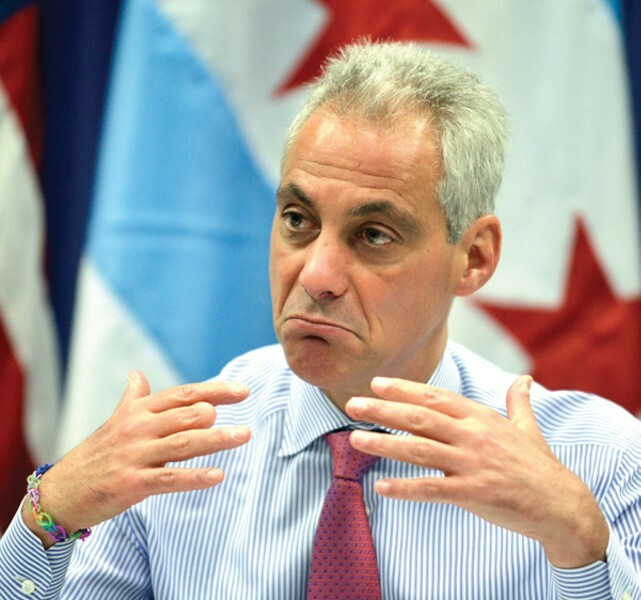 Crown donated at least $50,000 to Emanuel's first mayoral campaign, and last year he and his wife, Paula, each gave another $5,300—the maximum allowed under a new state contribution law. Other employees of Henry Crown have sent more than $100,000 into Mayor Emanuel's coffers since 2010. 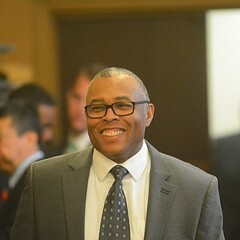 James Crown is a longtime board member of JPMorgan Chase, which has received millions of dollars in bond work from the city, including more than $10 million in 2013. Some of the mayor's contributors also indirectly benefit from the city's tax increment financing program. LA Fitness is opening gyms in TIF-subsidized developments in Ravenswood and Hyde Park. One of LA Fitness's largest investors is Madison Dearborn Partners, a private equity firm. Samuel Mencoff, co-CEO of the firm, donated $50,000 to Emanuel's 2011 mayoral bid, and he and his wife, Ann, each gave the maximum $5,300 last year. A WBC board member, Mencoff also donated $150,000 to Chicago Forward. Two other Madison Dearborn partners—John Canning and Paul Finnegan—gave a total of $200,000 to the PAC. "The partners at Madison Dearborn will decline your invitation to speak with you for the piece," a Madison publicist wrote in an e-mail. While the mayor has prohibited himself from taking donations from city lobbyists, he's allowed to accept them from the lobbyists' clients. So on the one hand, the mayor's orders keep him from taking contributions from Theodore Novak, a lobbyist for BDT Capital Partners, another investment firm. On the other hand, employees of BDT are permitted to donate to Emanuel, and have. 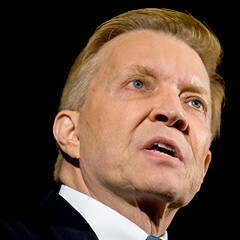 Its chief partner, Byron D. Trott—another WBC board member—donated $30,000 to Emanuel in the last mayoral campaign. Trott pitched in $5,300 more last December. Novak works for the law firm DLA Piper, which donated $10,000 to Mayor Emanuel's campaign in June 2013. Two days later, the campaign returned the money. "Campaign lawyers vet every check that comes in, a process that takes several days to several weeks, so that we can assure that every donation meets both campaign finance guidelines and the Mayor's executive orders," Giangreco said in an e-mail. "Not only are all of the donations in question legal, they also meet the higher standards the Mayor voluntarily imposes on his own campaign." Yet that hasn't stopped partners of DLA Piper from contributing about $75,000 since Emanuel has been in office. That's how campaign reform works in Chicago. William Greenberg helped research this story.